Description: Have fun playing this amazing coloring game! 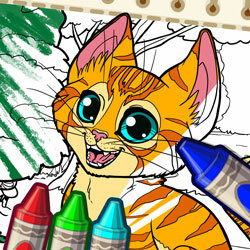 Discover all the cute little pets, pick your favorite ones and start coloring them. Combine the backgrounds, the pets, flowers, barn or other interesting drawings and create a master piece. Let your creativity run wild!